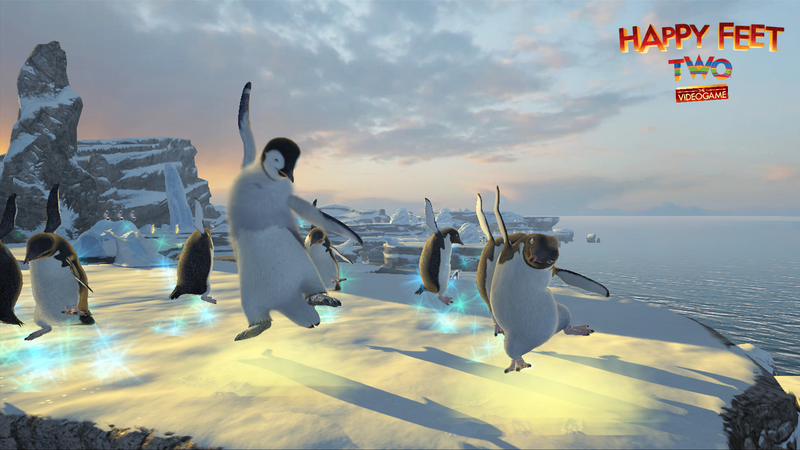 The Happy Feet 2 game is a family game aimed at children from 3 years old. As I haven’t personally played this game I asked my 7 year old if she would like to review it. Here are her thoughts. The object of this game is a mixture of things,for instance collecting penguins and when you have done that you have to do a few things to get to the exit.On some levels you don’t have to collect penguins, you have to do things like races. I think this is a really good game and is very good for education,because it can help small children recognise where and what the buttons/controls mean. I have enjoyed going through the levels (so far I have got to stage 11)some levels can be very hard but others are quite easy . I like doing the challenges,especially on levels 5 and 13 where all you have to do is do what you would do in a challenge,on some levels you have a timer .In challenges you have to press a different button when a red ball hits the button. On some levels you have to race another penguin/character,these levels are the hardest for me. Clear as mud? Clearly she has enjoyed playing it and is progressing nicely through the levels. Personally I think this game is a missed opportunity. When I heard that we were getting a Happy Feet 2 game to review I expected it to be a Kinect game with lots of funky dance moves. I’m really not sure why a game about a dancing penguin would not involve real dancing when the technology is out there to support it. As it stands I think it would be a fun game on a hand held console but am a little disappointed that there isn’t more to it for the bigger consoles. A preview copy of the game was received for the purpose of this review. No payment was received.